BUFFALO, N.Y. — Each year, farmers in the U.S. purchase tens of millions of pounds of antibiotics that are approved for use in cows, pigs, fowl and other livestock. When farmers repurpose the animals' manure as fertilizer or bedding, traces of the medicines leach into the environment, raising concerns that agriculture may be contributing to the rise of antibiotic-resistant bacteria. Researchers found that this solid matter may contain higher concentrations of antibiotics than unprocessed manure, a discovery that is particularly disturbing because this material is often released into the environment when it's used as animal bedding or sold as fertilizer. "We were hoping that these advanced treatment technologies could remove antibiotics. As it turns out, they were not as effective as we thought they could be," Aga says. She does offer some hope, however: "On the positive side, I think that a multistep process that also includes composting at the end of the system could significantly reduce the levels of antibiotics. Our earlier studies on poultry litter demonstrated that up to 70 percent reduction in antibiotics called ionophores can be achieved after 150 days of composting. Testing this hypothesis on dairy farm manure is the next phase of our project, and we are seeing some positive results." "Neither of the treatment systems we studied was designed to remove antibiotics from waste as the primary goal," Aga says. "Advanced anaerobic digestion is used to reduce odors and produce biogas, and reverse osmosis is used to recycle water. They were not meant to address removal of antibiotic compounds. "This problem is not limited to agriculture: Waste treatment systems today, including those designed to handle municipal wastewater, hospital wastes and even waste from antibiotic manufacturing industries, do not have treatment of antibiotics in mind. This is an extremely important global issue because the rise of antibiotic resistance in the environment is unprecedented. We need to start thinking about this if we want to prevent the continued spread of resistance in the environment." Aga is a proponent of the "One Health" approach to fighting antimicrobial resistance, which encourages experts working in hospitals, agriculture and other sectors related to both human and animal health to work together, as humans and animals are often treated with the same or similar antibiotics. The research on advanced anaerobic digestion examined a popular class of antibiotics called tetracyclines, finding that these drugs and their breakdown products migrated from the fluid part of the sludge into the solid part during treatment. At the end of the process, the solids contained higher levels of tetracycline antibiotics than the original raw manure. The study also found that both the liquid and solid parts of the sludge contained genes that confer resistance to these antibiotics. The study on reverse osmosis looked at how well this water purification technique removed synthetic antimicrobials called ionophores, which are used to promote growth in dairy cows and to treat coccidiosis, a costly, parasitic disease in the cattle industry that affects mostly young calves. 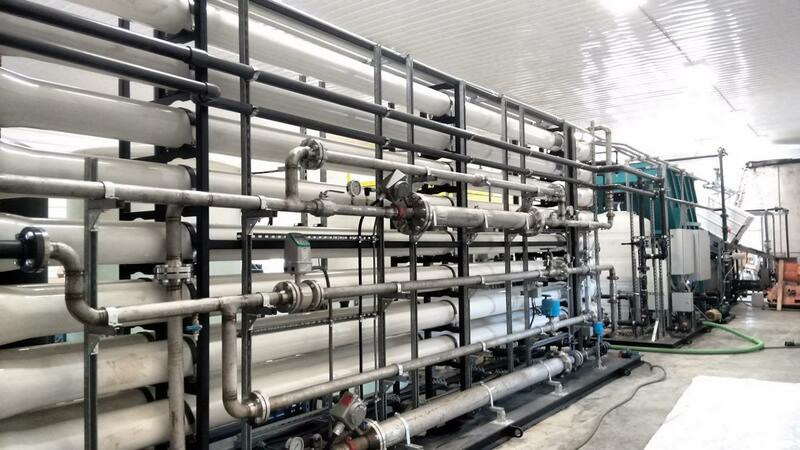 The research found that reverse osmosis effectively filtered ionophores from the liquid portion of manure. However, low levels of the drugs persisted in "purified" water after treatment due to the deterioration of membranes used in the filtration process. Also, solid matter extracted from the water during reverse osmosis still harbored high levels of ionophores. Finally, the study found that prior to treatment, many of the ionophores appear to have already migrated into the solid part of the raw manure that is removed before the reverse osmosis even begins. "Both of the systems we studied are a good first step in reducing the spread of antibiotics and potentially reduce resistance in the environment, but our study shows that more must be done," Aga says. "We need to look at different waste management practices that, maybe in combination, could reduce the spread of antibiotic compounds and resistance in the environment." Aga points to composting as one area to explore. Her team is studying how advanced anaerobic digestion can be used in conjunction with composting of solid materials to remove antibiotics and their breakdown products from manure. The preliminary results of the research, not yet published, are promising, Aga says.